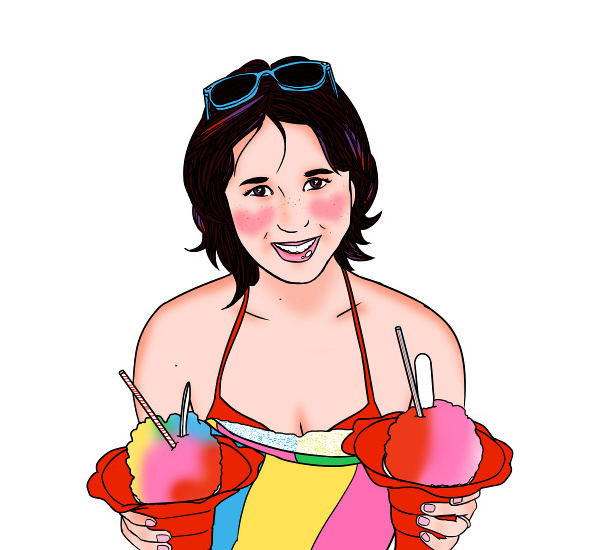 Apparently I procrastinated making this post for too long, because the place has now closed. Lol whoops. Well they still have some locations in NSW. My friend Cris really likes Nutella so we met up at Melbourne Central for a choco hazelnut feast. 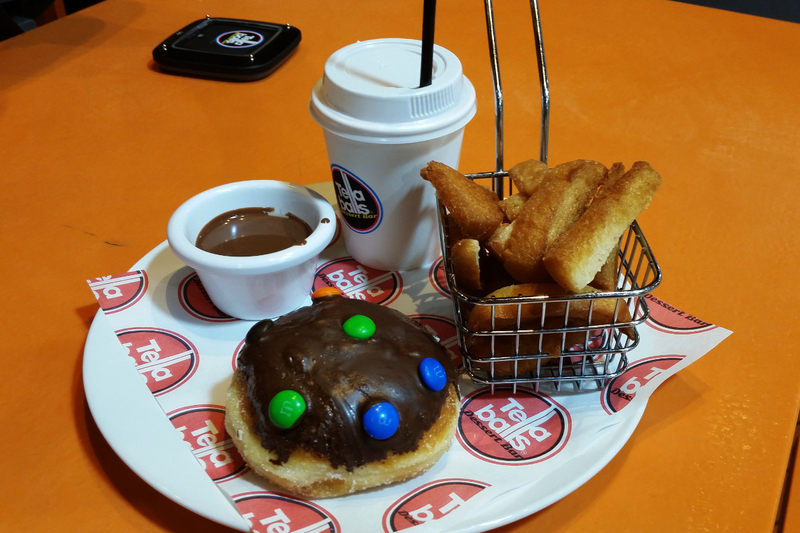 It came with a Nutella milkshake, Nutella doughnut, and doughnut chips with a Nutella dipping sauce. The doughnut was LOADED with Nutella. 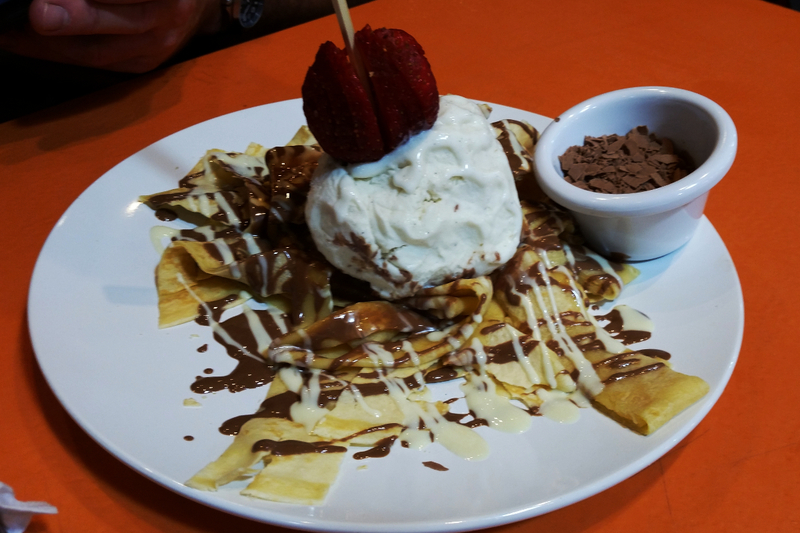 Cris got the Nutella “pasta” (crepes with ice cream and Nutella). It was amusing. Maybe the place closed because everyone got diabetes.